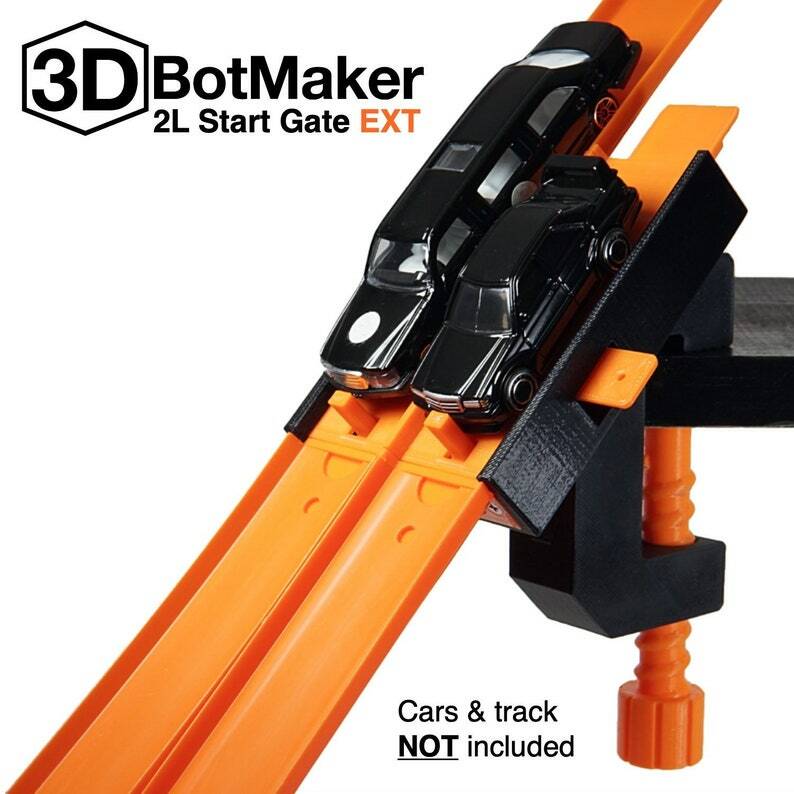 Introducing the new and improved 3DBotMaker 2 Lane Start Gate. The 2L Start Gate EXT features a longer start platform and rear track tabs that allow you to race extra long vehicles or multiple cars per lane. 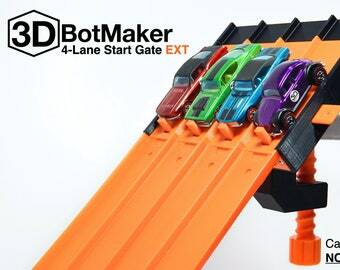 Expand the possibilities of what you can race with the 3DBotMaker 2L Start Gate EXT. 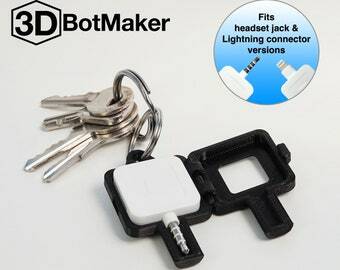 Great Item!! Very consistent and durable. I love that I was able to find this item; they just don’t make seem to make them any more! This was for my nephew who had his 3rd birthday and he is into hot wheels! Thank goodness you are able to make this item. I look forward to visiting your shop again for unique finds!